This third recording project took place on the island of Roatan, Honduras. Resident music/producer pro, Brion James, was kind enough to lend his talents and equipment to capture and record these songs as he had done for us on the “Pulperia Leah” album of 2007. 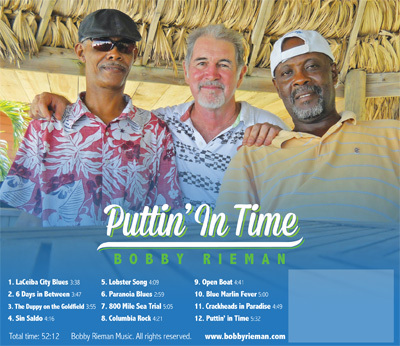 The songs on this album were written at different periods during the last 33 years I have been performing here on the island. The varied content and subject matter of the individual tunes is directly influenced by life and times here in the northwest Caribbean as has been my great fortune to have lived and experienced it. A mix of reggae, soca, country and blues influences can be heard on these selections which you are sure to enjoy. Paypal payment only, CDs shipped to USA or Canada.